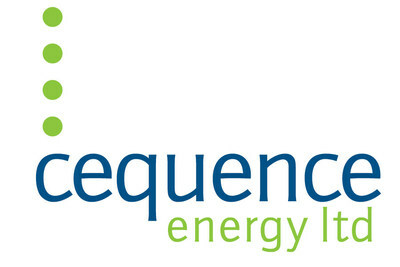 CALGARY, Aug. 10, 2018 /CNW/ – Cequence Energy Ltd. (“Cequence” or the “Company”) (TSX: CQE) is pleased to announce its operating and financial results for the three and six-month periods ended June 30, 2018. The Company’s Condensed Consolidated Financial Statements and Management’s Discussion and Analysis are available at cequence-energy.com and on SEDAR at www.sedar.com. As previously announced on July 27th, 2018, the Company entered into a series of transactions that will refinance the Company’s balance sheet. Total revenue is presented gross of royalties and includes realized gains (loss) on commodity contracts. Funds flow from operations is calculated as cash flow from operating activities before adjustments for decommissioning liabilities expenditures and net changes in non-cash working capital. Net debt is calculated as working capital deficiency (excluding commodity contracts) plus the principal value of the senior notes. Represents finance costs less amortization on transaction costs and accretion expense on senior notes and provisions. Funds flow from operations for the second quarter was $2.2 million, which reflects a 34 percent increase in liquids production from the first quarter of 2018. Realized sales prices (including hedging) increased ten percent from the comparative period in 2017. Comprehensive loss for the quarter ended June 30, 2018 was $2.7 million compared to a loss of $94.9 million in the second quarter of 2017. Capital expenditures, net of dispositions, were $0.4 million in the second quarter primarily associated with completion and tie-in of the Company’s winter drilling program of 3.0 gross (2.0 net) Dunvegan horizontal oil wells including upgrading the access road. On May 1st, 2018, the Company sold approximately 145 boe/d (90% gas) in the Gordondale area of Alberta for $1.5 million. Beginning on April 1, 2018, the Company has been selling 10,850 GJ/d of production in the Dawn market. The Dawn marketing arrangement has provided the Company diversification away from the volatile AECO prices for approximately 1/3 of its gas production. For the three months ended June 30, 2018, Dawn prices averaged approximately $3.49/mcf compared to AECO pricing of approximately $1.16/mcf. On July 27, 2018 Cequence announced a series of transactions to refinance the Company’s balance sheet and provide greater flexibility and liquidity to execute the ongoing business plan of the Company. Cequence entered into a second lien secured loan agreement for a $60 million term loan facility due October 3, 2022 to refinance the existing Senior Notes which were due on October 3, 2018. At the same time Cequence filed a Rights Offering Circular for holders of common shares on August 9, 2018 to subscribe for up to 245,527,883 flow-through common shares of the Company at a price of $0.035 per share for gross proceeds of up to $8.6 million. The Company has in place standby commitments from two of its directors that will, collectively, guarantee that at least $5 million will be raised under the Rights Offering. Cequence also amended its Credit Facility and extended the maturity date until September 28, 2018. The Company has $73.5 million in net debt as at June 30, 2018, which is comprised of $60 million in senior notes carrying a four-year term (refinanced and now maturing in October 2022 subject to the Rights Offering closing) and a working capital deficiency of $13.5 million. The senior credit facility of $9 million remains undrawn other than letters of credit of $1.6 million. Upon closing of the Rights Offering and Term Loan, the Company has received a commitment from its lender to further extend the maturity date of the Credit Facility to May 31, 2019 with a borrowing base of $7 million. Average production in the second quarter of 2018 was 6,334 boe/d (25% liquids). The production increase was primarily associated with the Company’s recent 3 gross (2 net) Dunvegan oil wells that continued their strong performance. The previously disclosed service rig work required on the new 11-14 (50% working interest) Dunvegan well was finished at the end of July. Over the last ten operating days the 11-14 well flowed approximately 411 bbl/d of oil and 70 bbl/d of water. It is expected that the well will continue to clean up with time. Due to continued low AECO prices in the quarter, approximately 2,500 mcf/d of gas has been left shut-in until higher pricing is available. The Company is currently planning to commence drilling activities on 2 gross (2 net) additional Dunvegan wells in the fall of 2018 subject to the successful closing of the Rights Offering. Cequence estimates that there are approximately 26.5 net Dunvegan oil locations remaining on its land. Operating costs for the second quarter were $11.72 / boe up 15% from the first quarter of 2018 as a result of lower production volumes and $0.5 million for one-time expenses with the startup of the 3 gross (2 net) oil wells during spring break up. Another $0.4 million was spent on the removal and repair of longer term rental equipment no longer required. This combined $0.9 million of one-time expenses represents $1.56 / boe costs in the second quarter. With the forecasted higher oil volumes and lower gas volumes, operating costs are anticipated to be in the $10.00 to $11.00 / boe range for the remainder of 2018. The Company’s guidance for the year ended December 31, 2018 includes the results of the second quarter, the 3 gross (2.0 net) Dunvegan oil well results, the restructured $60 million Senior Notes (with its 5% interest rate), a minimum Rights Offering equity raise of $5 million, the inclusion of the north east B.C. asset operating results, and an additional planned 2 gross (2 net) Dunvegan oil wells drilled and on production in the fourth quarter of 2018. As a result, oil production increases from 245 bbl/d in the first quarter of 2018 to an expected average second half 2018 rate of 1,050 to 1,150 bbl/d. The increase in oil production combined with improved oil prices and the Dawn, Ontario gas contract provide an estimated second half 2018 funds flow from operations of approximately $12 million. (1) Average production estimates on a per BOE basis are comprised of 76% natural gas and 24% oil and natural gas liquids in 2018. (2) Funds flow from operations is calculated as cash flow from operating activities before adjustments for decommissioning liabilities expenditures and net changes in non-cash working capital. (3) Net debt is calculated as working capital deficiency (excluding commodity contracts) plus the aggregate principal amount of the senior notes and is calculated based on the minimum standby commitment of $5 million received less estimated costs of $125,000. (4) Weighted average basic shares outstanding is based on the minimum standby commitment of $5 million received and 142,857,000 of incremental shares issued on September 13, 2018. Assuming that the rights offering is fully subscribed for at $8.6 million and 245,528,000 of incremental common shares are issued the weighted average shares would be 318,177,000 for December 31, 2018 and funds flow from operations would be $0.05. Cequence is a publicly traded Canadian energy company involved in the acquisition, exploitation, exploration, development and production of natural gas and crude oil in western Canada. Further information about Cequence may be found in its continuous disclosure documents filed with Canadian securities regulators at www.sedar.com. Boe Conversions: Barrel of oil equivalent (“boe”) amounts have been calculated by using the conversion ratio of six thousand cubic feet (6 Mcf) of natural gas to one barrel of oil (1 bbl). Boe amounts may be misleading, particularly if used in isolation. A boe conversion ratio of 6 Mcf to 1 bbl is based on an energy equivalency conversion method primarily applicable at the burner tip and does not represent a value equivalency at the wellhead. Given that the value ratio based on the current price of oil as compared to natural gas is significantly different from the energy equivalent of 6:1, utilizing a conversion on a 6:1 basis may be misleading as an indication of value. Mcfe Conversions: Thousands of cubic feet of gas equivalent (“Mcfe”) amounts have been calculated by using the conversion ratio of one barrel of oil (1 bbl) to six thousand cubic feet (6 Mcf) of natural gas. Mcfe amounts may be misleading, particularly if used in isolation. A conversion ratio of 1 bbl to 6 Mcf is based on an energy equivalency conversion method primarily applicable at the burner tip and does not represent a value equivalency at the wellhead. Given that the value ratio based on the current price of natural gas as compared to oil is significantly different from the energy equivalent of 1:6, utilizing a conversion on a 1:6 basis may be misleading as an indication of value. This press release refers to terms commonly used in the oil and gas industry, including operating netback, cash netback, net debt, funds flow from (used in) operations and total revenue. These financial measures are considered “non-GAAP measures”, as they do not have a standardized meaning prescribed by IFRS and are therefore unlikely to be comparable to similar measures presented by other issuers. Operating netback is not defined by IFRS in Canada and is referred to as a non-GAAP measure. Operating netback equals per boe revenue less royalties, operating costs and transportation costs. Management utilizes this measure to analyze operating performance of its assets and operating areas, compare results to peers and to evaluate drilling prospects. Cash netback is not defined by IFRS in Canada and is referred to as a non-GAAP measure. Cash netback equals operating netback less per boe general and administrative expenses and interest expense. Management utilizes this measure to analyze the Company’s per boe profitability for future capital investment or repayment of debt after considering cash costs not specifically attributable to its assets or operating areas. Net debt is a non-GAAP measure that is calculated as working capital deficiency (excluding commodity contracts ) plus the principal value of senior notes and excluding assets held for sale and liabilities associated with assets held for sale. For this calculation, Cequence uses the principal value of the senior notes rather than the carrying value on the statement of financial position as it reflects the amount that will be repaid upon maturity. Cequence uses net debt as it provides an estimate of the Company’s assets and obligations expected to be settled in cash. Funds flow from (used in) operations is a non-GAAP term that represents cash flow from operating activities before adjustments for decommissioning liabilities expenditures and net changes in non-cash working capital. The Company evaluates its performance based on earnings and funds flow from (used in) operations. The Company considers funds flow from (used in) operations a key measure as it demonstrates the Company’s ability to generate the cash flow necessary to fund future growth through capital investment and to repay debt. The Company’s calculation of funds flow from (used in) operations may not be comparable to that reported by other companies. Funds flow from (used in) operations per share is calculated using the same weighted average number of shares outstanding used in the calculation of comprehensive income (loss) per share. Total revenue equals production revenue gross of royalties and including realized gain (loss) on commodity contracts. Management utilizes this measure to analyze revenue and commodity pricing and its impact on operating performance. Certain statements included in this press release constitute forward-looking statements or forward-looking information under applicable securities legislation. Such forward-looking statements or information, including the forward-looking financial information under the Outlook heading, are provided for the purpose of providing information about management’s current expectations and plans relating to the future. Readers are cautioned that reliance on such information may not be appropriate for other purposes, such as making investment decisions. Forward-looking statements or information typically contain statements with words such as “anticipate”, “believe”, “estimate”, “expect”, “forecast”, “plan”, “intend”, “estimate”, “plan”, “propose”, “project”, “schedule” or similar words suggesting future outcomes or statements regarding an outlook. Forward-looking statements or information in this press release may include, but are not limited to, statements relating to the Company’s production and future performance expectations of the recently completed Dunvegan wells, the impact of higher oil volumes and lower gas volumes on operating costs, the estimated number of oil locations remaining on the Company’s land, the impact of the completion of Cequence’s debt refinancing and the terms thereof; the refinancing of the Company’s balance sheet to reduce the net debt to funds flow from operations ratio; the Successful closing of the Company’s Rights Offering; the bank review for the extension and the new borrowing base of the Company’s Credit Facility; the guaranteed minimum proceeds from the Rights Offering; and the Company’s outlook and guidance for 2018. Forward-looking statements or information are based on a number of factors and assumptions which have been used to develop such statements and information but which may prove to be incorrect. Although the Company believes that the expectations reflected in such forward-looking statements or information are reasonable, undue reliance should not be placed on forward-looking statements because the Company can give no assurance that such expectations will prove to be correct. In addition to other factors and assumptions which may be identified in this press release, assumptions have been made regarding, among other things: the impact of increasing competition; the timely receipt of any required regulatory approvals; the timely completion of the Company’s bank review relating of the Credit Facility; ; the ability of the Company to obtain qualified staff, equipment and services in a timely and cost efficient manner; the ability of the operator of the projects which the Company has an interest in to operate the field in a safe, efficient and effective manner; the ability of the Company to obtain financing on acceptable terms; field production rates and decline rates; the ability to replace and expand oil and natural gas reserves through acquisition, development of exploration; the timing and costs of pipeline, storage and facility construction and expansion and the ability of the Company to secure adequate product transportation; future oil and natural gas prices; the effectiveness of service rig work on well clean-up over time; currency, exchange and interest rates; the regulatory framework regarding royalties, taxes and environmental matters; and the ability of the Company to successfully market its oil and natural gas products; the success of certain transactions on refinancing the Company’s balance sheet; the ability of the Company to effectively identify and successfully pursue alternative financing arrangements and recapitalization opportunities. Readers are cautioned that the foregoing list is not exhaustive of all factors and assumptions which have been used. Forward-looking statements or information are based on current expectations, estimates and projections that involve a number of risks and uncertainties which could cause actual results to differ materially from those anticipated by the Company and described in the forward-looking statements or information. These risks and uncertainties may cause actual results to differ materially from the forward-looking statements or information. The material risk factors affecting the Company and its business are contained in the Company’s Annual Information Form which is available on SEDAR at www.sedar.com. The forward-looking statements or information contained in this press release are made as of the date hereof and the Company undertakes no obligation to update publicly or revise any forward-looking statements or information, whether as a result of new information, future events or otherwise unless required by applicable securities laws. The forward-looking statements or information contained in this press release are expressly qualified by this cautionary statement. The TSX has neither approved nor disapproved the contents of this news release.